His Holiness The Dalai Lama and the Tibetan Administration in Exile, with the support of the Government of India and various other organizations and individuals have done a wonderful job with Tibetan education in exile. Over the past fifty plus years thousands of Tibetan children have received excellent education. As a refugee community, the Tibetans have done remarkably well. Most Tibetan refugees began their lives in exile as road labors. Over the years, many of them have transitioned in business. But, life for Tibetans in exile has never been easy and there are many Tibetan families that need help. Some of them are poor – others come from broken homes, or have some sickness or other problem in their lives. These families need help to educate their children. 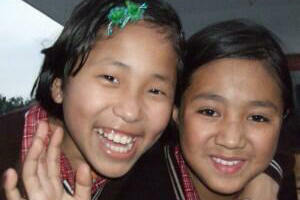 TCEF’s sponsorship program connects an interested person here in the West with Tibetan children that need help. Over the past ten years, we’ve made hundreds of connections. Current sponsorship rates are $45 a month. Sponsorship funds help to pay for school tuition, uniforms, books, medical and health care needs etc. At TCEF’s collaborating institutions -Kyitsel-ling Tibetan Children’s Education Center, Clement Town and Sukhavait Boarding School, Sikkim – the sponsorship funds also cover all boarding and lodging expenses. The easiest way to get started is to fill in the online sponsorship form, following the links to our sponsorship subscriptions. Using pay pal or authorize.net will let the foundation know of your interest and prompt a response. If you have a TCEF brochure,fill in the sponsorship form and mail it to :TCEF, PO Box 1403, Helena, MT 59624. call (406)443-6078 or send a short email to tcef@mt.net to express your interest and a member of TCEF will respond promptly. How are children selected for sponsorships? Will children write back to sponsors? What gifts can we send them ? Interested persons may have many other questions. We’ve a FAQ section to help, but also welcome any question that prospective sponsors may have. An email to tcef@mt.net works the best for us. * Sponsor a child’ school education. Make a commitment to change a life. The gift of education can transform lives. Take a child right through school. * Make a sponsorship commitment to sponsor a child’s education for three years. At the end of that period, you can renew your sponsorship or TCEF will find another sponsor for the child to build on the education already received from your sponsorship. To date, we’ve been able to find replacement sponsors for every child that had an initial sponsor. *Make a one time donation to our sponsorship program. 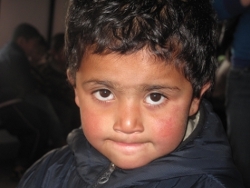 Your donation will enable us to immediately help a child until we find a regular sponsor.